Rethel is a town 36 kilometres north-east of Reims, along the N51-E46 main road to Mezieres. The French National Cemetery is beside the D946, west of the main town. 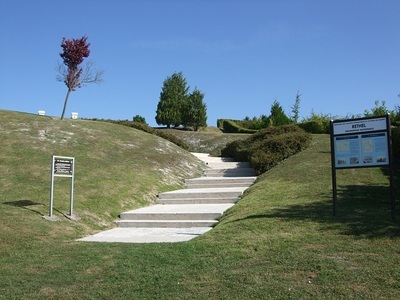 It can be reached from the N51-E46 after exiting at Le Pont d'Arcole and heading towards Rethel. 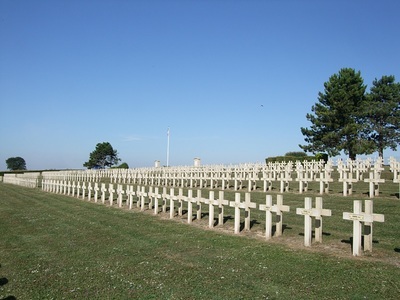 The cemetery is on the left as you approach the town. 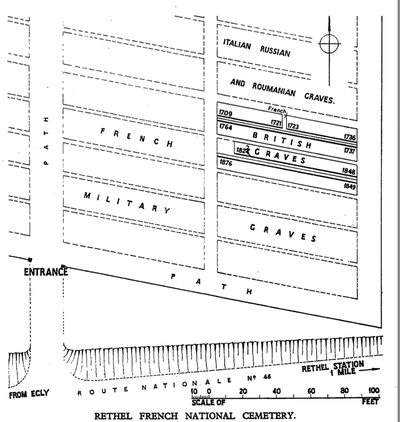 Rethel was in German hands from the early days of the First World War until 6 November 1918. 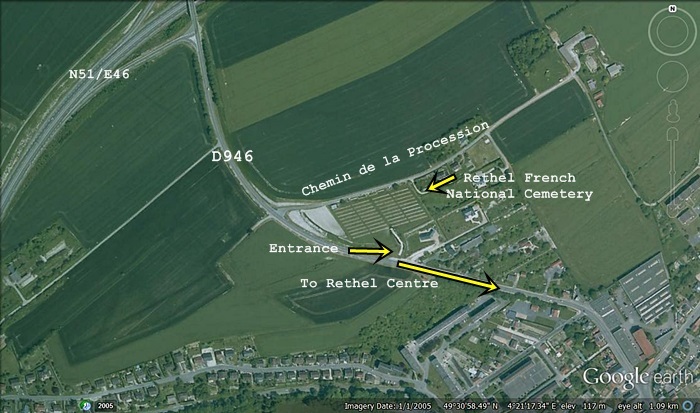 Rethel French National Cemetery contains the graves of almost 3,000 French soldiers who died, for the most part, in the fighting at Bertoncourt in 1914, and at Herpy in 1918. 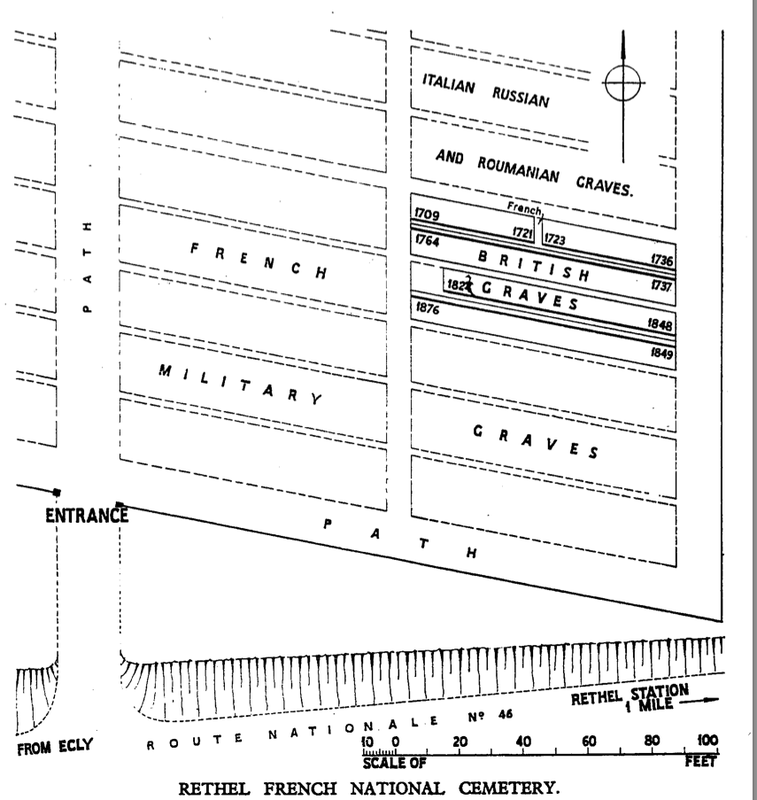 The Commonwealth Plot, in the east part of the cemetery, contains 110 graves, four of which are unidentified. 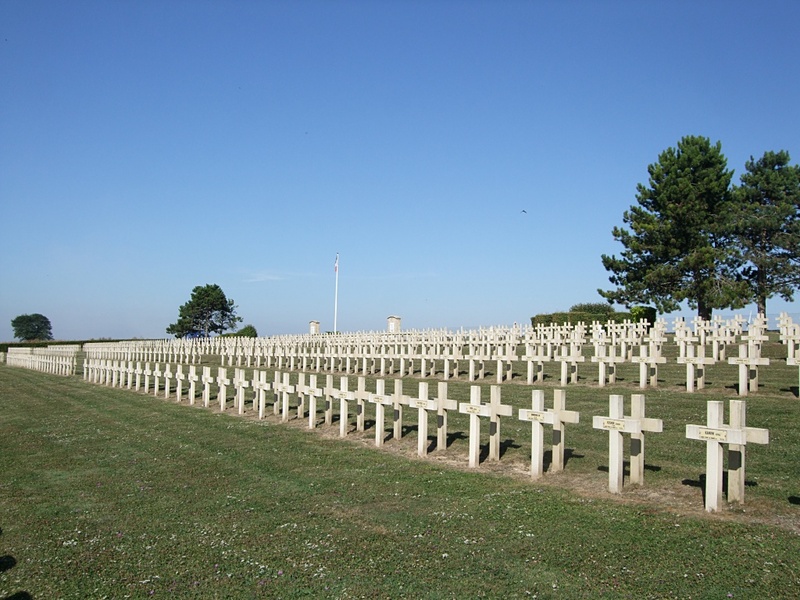 Sixty-eight of these came from the German National Cemetery on the north-east side of the town, and the rest from the German cemeteries of Asfield, Blanzy, Brienne-sur-Aisne, Herpy, Juniville, Le Thour, Neuflize Policourt, Sevigny, Tagnon, Faissault Churchyard and Chateau Porcien Communal Cemetery. 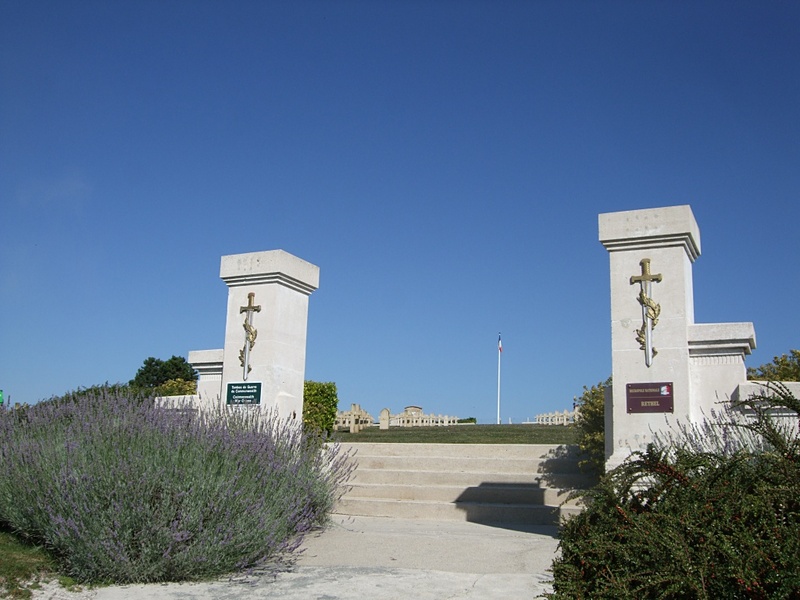 The French National Cemetery also contains Russian and Rumanian graves. 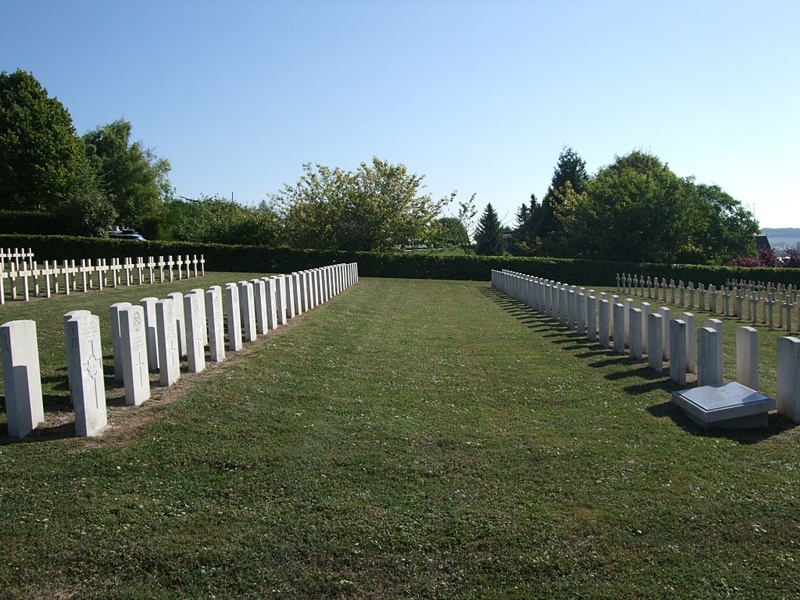 Casualty Details: UK 110, Total Burials: 110.